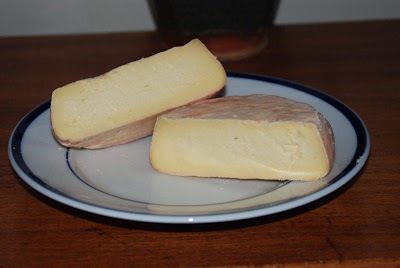 Reblochon is a wonderful, versatile cheese from the Savoie region, which can be eaten as is or used in cooking to add rich depth to sauces and gratins. This is a semi-soft, washed-rind cheese, with an orange rind and earthy aroma. Surprisingly, although this cheese is common in France, it is almost unknown in the US, due to its short ripening time. Since it is ready to eat in less than 60 days, it's illegal to import. However, this village cheese is very easy to make at home, and can actually be aged longer than the 49 to 55 day recommended time. 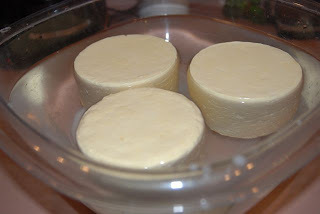 Reblochon is made using both Mesophilic and Thermophilic cultures to develop acidity, then rennet is added to form the curd. The curd is cut and stirred, then ladled into molds with a large scoop. After draining, the cheeses are brined, then placed on racks to age. Daily washing with a special brine develops the characteristic rind and flavor. After a suitable ripening time, the Reblochon is ready to go, and it's well worth the wait! 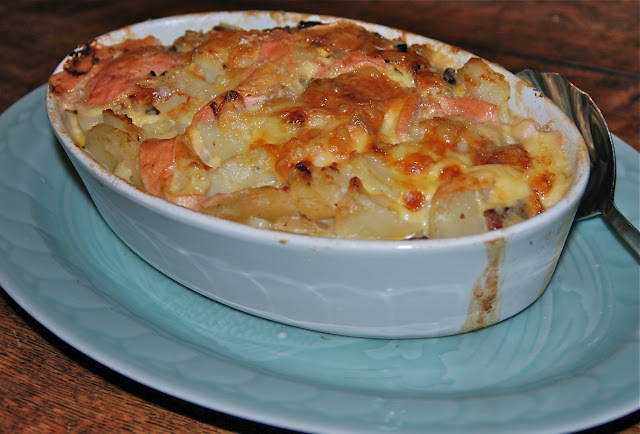 One of the best uses for it is Tartiflette, a relatively new gratin that was developed to help promote the cheeses of Savoie.. This has caught on in a big way, for reasons which become obvious when you taste it. Butter a 10” oval gratin dish, set aside. Place potatoes in small, deep pot. Cover with water, bring to boil, then simmer until just tender. Drain. Dice shallots and place in a sauté pan. Cut the bacon into lardons (pieces 1/3” x 1/2”), add to the sauté pan, then cook bacon and shallots until lightly browned. Fold the cooked potatoes gently into the shallot/bacon mixture; season with salt/pepper. Transfer this to the prepared gratin dish, then top with the cream and wine. Slightly work the cream/crème fraiche into the potatoes if it is all on the top. Cut the Reblochon cheese in half, then place them, cut side down, on top of the potato mixture. This will look like two humps, but the cheese will melt down into the tartiflette as it cooks. Cook in the oven for 20 to 30 minutes until the cheese is completely melted and the crust is golden. 1. Another classic use for this cheese is the Croute, which is an open-faced melt on a split baguette or, preferably, half of a small pain au levain. (This is ski-lodge food in France.) The croute is briefly baked in a very hot oven, and can be varied by adding any of the following: sausage, chicken breast, mushrooms (either domestic or wild, poached in red wine), tomato. 2. Since the Reblochon has such a rich flavor when melted, it is an amazing substitute for hollandaise when making eggs Benedict, or to accompany green vegetables. Look so good. I'm French and this reminds me of home. Indeed tartiflettte is so wonderful. Would you have th exact recipe to make reblochon please? Thanks.